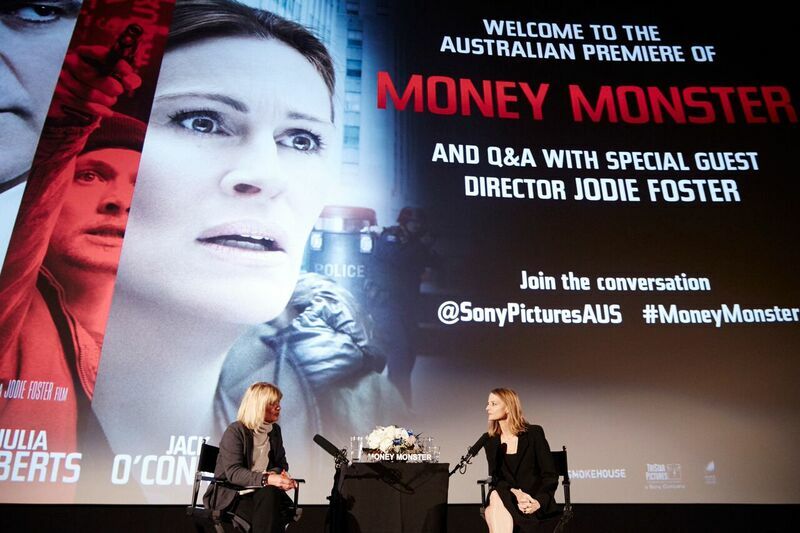 Two time Academy Award winning actress, Jodie Foster, walked the red carpet for the Australian premiere of her new high stakes thriller Money Monster. Following the screening guests were treated to a Q&A hosted by Margaret Pomeranz. Jodie fielded questions from fans in the audience as well as those submitted on Facebook. Jodie captivated the audience with tales from her breakout role in Taxi Drive, her filmmaking process and what it’s like to work with George Clooney.